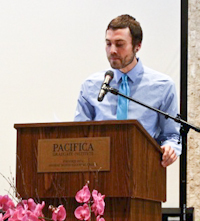 As a Ph.D. candidate in the Clinical Psychology program at Pacifica Graduate Institute, Jason Butler presented this reflection on 4 March 2012, at A Gathering to Offer Tribute and Celebrate the Life and Work of James Hillman. If we imagine the psychological tradition as a baseball stadium, Archetypal Psychology would certainly be way out in left field. Hillman loved it out there in the tall grass. He was always able to find plenty of straw, to build the men, that he would later burn in his blazing critiques. But my engagement with Archetypal Psychology has led me in a different direction than Hillman, perhaps compensatory, perhaps my calling. My response to Hillman’s work has involved imagining and describing a distinctly archetypal approach to psychotherapy — a method of construction in response to Hillman’s deconstruction, a fantasy of collecting bits of method, weaving them together, and adding my own colors through putting the practices to work with psychic material — often my own. This work flies in the face of much of Hillman’s reservations. He abstained from example and clinical vignette. He also warned against too much clarity, touting this as an ideal of the spirit, whereas the psyche is murky and convoluted. As I write, he warns, much like the daimon of Socrates with the soft whispers of caution. I was at my mother’s house standing in the driveway looking up at the rear-end of my father’s parked car. One half of the car, the passenger side, was on solid ground, and the other half, the driver’s side, was suspended over groundlessness. I became very anxious and wanted to move the car onto a safe space. However, I knew that if I were to get into the driver’s seat, the car would tip over into the abyss. As I worked with this dream, I recalled Pat Berry’s discussion of “Layard’s rule,” which states “Nothing in the dream is wrong, except perhaps the dream ego.” Immediately the dream began to shift and open. I began to wonder about groundlessness — and the importance of letting things fall. By placing the dream at Mother’s house with Father’s car, perhaps the dream is indicating that the anxious-I is being parented by an eroding drive and a single-minded focus on solidity, safety, ground-under-foot. Stepping outside the anxious perspective of the dream-ego, we may begin to imagine that it is essential for the car, that which I drive or that which drives me, to teeter on the edge, always ready to plummet into the unknown, the unexpected, where the drives are thwarted, confused, turned upside down. One of the ways I have attempted to respect this teetering-on-the-edge quality is to frame my depiction of archetypal psychotherapy as a fantasy — one fantasy amongst many, relating to my work as fiction places it, like the car, on the edge between solid reality and the open space of imagination. Rather than offering a synopsis of my work, I would like to use the remainder of my time to share something personal in hopes of also communicating something transpersonal: the archetypal image of Hillman. The following is an active imagination, or what Robert Romanyshyn has called a transference dialogue. The two characters are myself and James Hillman. Hillman begins the conversation: We cannot recover soul from its alienation in professional therapy until we have a vision of pathologizing that does not require professional treatment in the first place. I say: James, you are taking away one of the major avenues for soul-making without offering anything in its place. The well-trained Depth Psychologist has a refined sense for the intricacies of soul work. They have spent countless hours in preparation to receive the most dark and twisty aspects of soul. Their image imbibes a quality of safety, of experience, and expertise. These qualities are essential when someone is first beginning to work with soul. 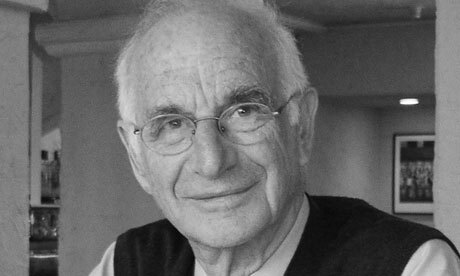 Hillman replies: The poets and artists, the philosophers of Greece, the alchemists — they didn’t need therapists to make soul. I say: Yes, but they did need an expert, a mentor, someone who had done the work. Hillman says: The alchemists were not trying to cure anything. I reply: I do agree that pathologizing should have more environments than just the consulting room. But that is one thing that therapy is actually encouraging: therapy gets people to talk about their feelings with other people. Hillman says: That is not pathologizing; that is an expression of the feeling ego. I reply: And how do you think someone is going to learn how to differentiate between what is their feeling ego and what is the god in the disease besides in therapy with a trained expert? The ego is an image, too, and what the feeling ego has to say is always a reflection and response to what the complexes are doing. Remember, anima is our mood. And where else will a new vision for pathology come from but therapy? Hillman says: Poetry, mythology, art, theatre. The collective already has many ways of pathologizing that are not professionalized. I say: I remember you quoting Robert Sardello saying that it is important to see what is already in place in the culture and work within that. That is what I am trying to do. Psychotherapy is embedded in our culture. It’s not going anywhere and, whether you like it or not, that is where most people are going to go when their soul is pathologizing. I want to work within this fixture. I want to elucidate a therapy that integrates archetypal sensibilities. You’re too deconstructive, and it does little for building a functional archetypal method. Dialogues such as these are both part of my research method, alchemical hermeneutics, as well as part of the deeply intimate and, at times, contentious relationship I have fostered with Hillman as image. He has been father to my thought and psychopomp to my soul — and for that I have the most profound gratitude. Thank you, James.